It’s not unusual to see a once great video game development house decline, at least in terms of creativity. Look at Capcom and its gaudy digital Tower of Babel Resident Evil 6—That game was made by a staff of 600 people compared to the fewer than 100 people that made the original back in 1996, and it was, ironically, about one-sixth as good as the sixteen year old classic. Capcom got bigger, its franchise more successful, even as its auteur creators (Shinji Mikami, Hideki Kamiya, etc.) left the organization. It’s far less common to see creative companies disintegrate completely. Ten years ago, Silicon Knights was one of the most lauded studios in the world. Today, it’s run by a skeleton crew. The mighty didn’t just fall in this case. The mighty fell, crashed, burned, then the ashes were set on fire again. Kotaku published a report on the disastrous development of Silicon Knights and Activision’s X-Men: Destiny, portraying a company that was mismanaged to the point of bankruptcy in the past four years. What was most revealing about the report, however, is that Silicon Knights remains open with a staff of just five employees including co-founder Dennis Dyack. Dyack, of course, was one of the key creators on Silicon Knights’ most successful, and later most infamous, works. Starting with the successful Eidos-published role-playing game Blood Omen: Legacy of Kain in 1996, Silicon Knights had a string of major successes. 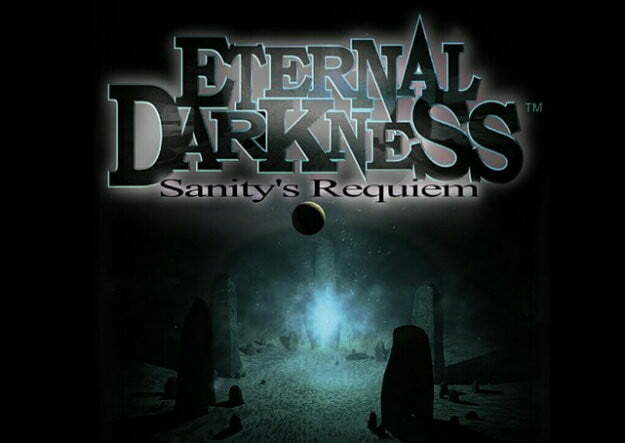 Nintendo purchased a significant share in the company in 2000 and signed the studio to an exclusivity agreement that brought Eternal Darkness: Sanity’s Requiem and Metal Gear Solid: The Twin Snakes to the Gamecube console. In 2005, though, Silicon Knights ended its partnership with Nintendo, signing with Microsoft instead to develop a sci-fi RPG trilogy called Too Human. The first entry released in the summer of 2008 and was an enormous flop. The dissolution of Silicon Knights isn’t terribly surprising based on the news surrounding the company since then, though. First, the company tried to rebound by applying for a major grant from the Canadian government. It announced in early 2011 that is had been approved for funding and would bulk up its staff to begin work on a new original property, but the funds were never distributed. Why? According to the Ministry of Economic Development in Ontario, sincne Silicon Knights failed to “meet the conditions of the agreement,” no funding was given. That is to say, Silicon Knights failed to create jobs. There was also Silicon Knights lawsuit against Epic Games. The studio claimed that Too Human failed because Epic didn’t provide proper support for the licensed Unreal Engine 3. A North Carolina court found in favor of Epic in May, leaving Silicon Knights with a $4.45 million in damages bill to pay the Gears of War studio.